Gas prices in Jamestown came down by almost a penny this week to $2.708 per gallon, according to AAA East Central’s Gas Price Report. Gas prices are increasing across the Mid-Atlantic and Northeast region, ranging from one to six cents more expensive (New York, +2). Similar to this time last year, New York is among the top 10 most expensive gas price averages in the country. Moreover, prices in New York are 12 cents more expensive than one year ago. Despite arctic temperatures, there have been no real supply issues in the region since gasoline inventories are ample. With a small build (55,000 barrels), gasoline inventory levels continue to top 58 million barrels. However, the region is at a 7 million bbl. deficit compared to this time last year. The national gas price average has held steady at $2.49 for nine straight days. Many motorists across the country are seeing more expensive gas prices on the week, while prices are cheaper for a select few states. 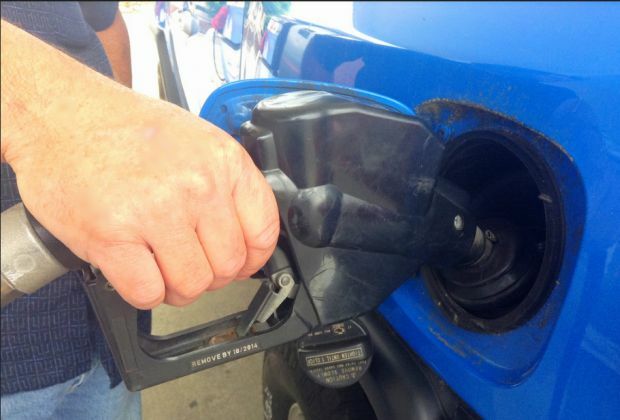 Motorists can find gas for $2.50 or less at 64 percent of gas stations nationwide. The cheapest gas can be found in Missouri ($2.23). At the close of Friday’s formal trading session on the NYMEX, West Texas Intermediate decreased 57 cents to settle at $61.44. Crude oil exports averaged 1 million b/d through October 2017 – a record high and increase of 445,000 b/d from the 2016 average. These facts have given the market greater optimism about the potential of prices continuing to climb in 2018, as OPEC’s agreement to reduce production will remain in effect through the end of this year and will help to restrain growing inventories. However, growing U.S. production amid higher global demand growth has given some pause to these optimistic market observations. U.S. production rates in coming months will give a clearer picture.